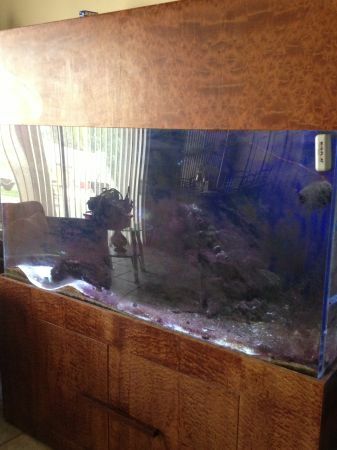 Selling 300 gallon aquarium with 60 gallon sump, (3) 150 watt metal halide lights, (1) protein skimmer, (2) media filters, (4) Rodi Water unit, 2 stage wave maker, 100lbs live rock and live sand, 1 Rabbit fish, 1 clown fish, 1 coral beauty, return pump, Canopy and stand. No time to maintain the tank anymore. Firm on price. Will help disassemble. Can help deliver for delivery fee.